The view of the exquisite scenery of the French Alps, an extensive mountain range of the main chain of the Alps, exudes the very essence of the winter “joie de vivre” and proudly represents its impressive beauty with world-famous resorts offering year-round outdoor pursuits. Stretching from the Southern Alps (Alpes du Sud) straddling the border with the Northern Alps (Alpes du Nord), region hosting high end ski resorts at Trois Valles and Paradiski (Les Arcs, La Plagne, Peisey – Vallandry) ski areas, designed to offer a blend of eclectic pleasures so attractive they only be described as a powerful temptation. 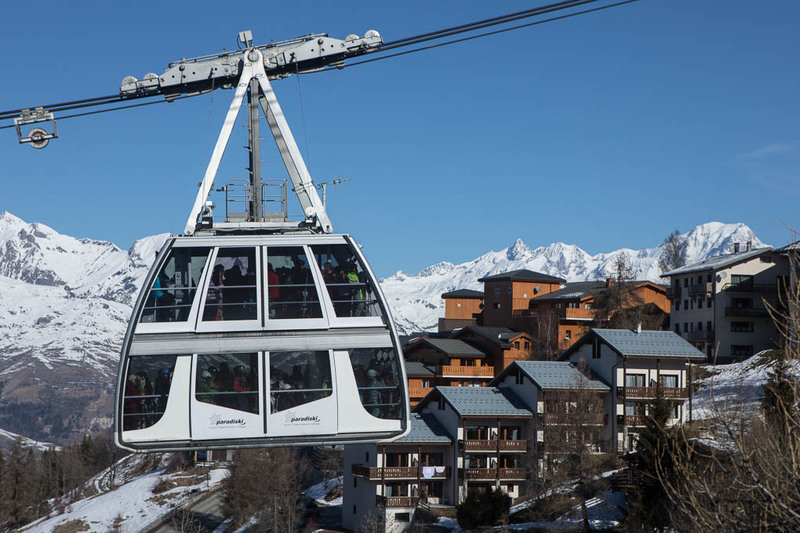 The Paradiski region, interlacing the three famous ski hot spots of Les Arcs, La Plagne and Peisey – Vallandry offers 425 km of incredible ski trails and 260 immaculate tracks connected by the Vanoise Express cable car. All levels of skiers are welcome at many of the blue slopes and 113 red and black slopes with off-piste sensations for the experienced challenge seekers. Just below the glacier of Aiguille Rouge, the highest point within the ski area of Les Arcs is forged a remarkable and pleasurable and the start of one of the longest runs in the world, down to Villaroger centre, with a length of about 17 km. Alternatives offer lighter options with Nordic walks, snowshoes walk, hikes or just a simple stroll through the snowy landscape with surprising scenic spots at every turn. Whatever your outdoors passion is, can be found here. In the heart of the magnificent Les Arcs myriad, Peisey Nancroix is situated, an authentic French village with unique personality featuring a fascinating atmosphere of the idyllic countryside with incredible sights of the surrounding Alps and clean, crisp air scented with pine forests and linden trees. The traditional architecture of stone and wooden houses charms its visitors along with an old Baroque-style church located in the old village centre dating back 1000 impressive years. Whether a zealous skier or just a nature lover, the area offers unique experience combined with an inspiring range of nature’s best landscape and exciting opportunities for active or relaxing holidays. 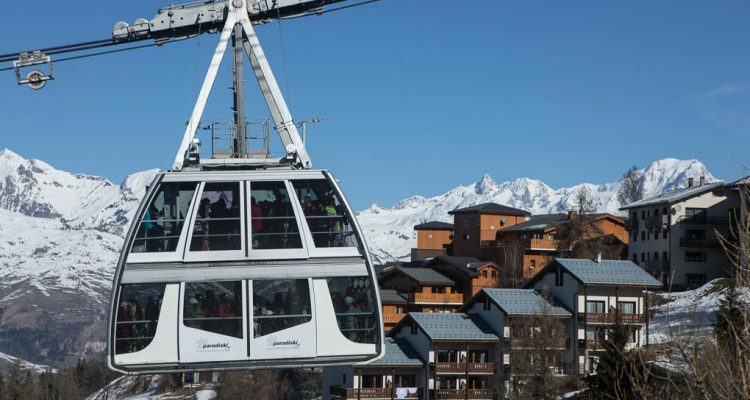 Situated 400 m from Lonzagne Ski Lift and the 14-minute walk from the Grizzly Ski Lift, the village is well connected offering practical options for a skiing or snowboarding adventure in the Paradiski ski region. A different opportunity arises on the numerous hiking routes around the village revealing the characteristics of the landscape beauty changing its colours with the seasons. The Lac du Carroley route takes you on a circular walk in the hidden lake valley, an easy option some 2,8 km from the Peisey Nancroix. The Lac du Friolin, for more of the experienced hikers, presents rewarding sights of the elemental the beauty of the lake. Both routes follow the signs to “Les Bauches en voiture”, a car park and the end of the route. There are over 30 hiking routes around, each a hidden gem awaiting to be discovered. Venture from your luxury set up at Peisey Nancroix into the sphere of action and fun, creating a memorable experience during your stay in this enchanting region. Special insight into the world of the Olympic sports is offered at Olympic Bob Sleigh Track in La Plague resort, one of a kind in France, with 19 bends and 1500 m of thrilling adventure. In the valley of Champagny le Haut (1500m), climbers meet at the “Ice Tower”, artificial ice – climbing structure open for visitors from mid. December to the beginning of March. You can even step up for an unforgettable escapade above the region, with Spirit – Flying & Flights, offering paragliding, speed riding; a combination of paragliding and skiing & helicopter tours around Les Arcs or Mont Blanc, Europe’s highest mountain. Switching the seasons is an equally delightful experience of the blazing colours of summer mountain retreat with multiple activities of mountaineering, trekking, canyoning or glacier walking private tours with all the info and itineraries available from your host and a tourist office situated at the Peisey Nancroix village centre. True flavours of France and its culinary scene with endless gastronomic opportunities presenting both French and International cuisine are found at various nearby restaurants and the resort’s gourmet spots. A couple of many suggestions are L’Ancolie restaurant, a cosy place serving homemade, rustic French and European dishes, and the Alpine simpler version of “Haute cuisine”, mastering the art of visual perfection, and the tastefully refined plates of local flavours found at Chez Clarisse, a venue with a splendid terrace offering the great Alps views and a gracious host who makes sure your dining experience becomes a memorable one. This remarkable fusion of luxury lodge, nature, activities and gastronomy will be an experience that you will have never encountered before. See you Soon. The Deer Lodge at Peisey-Nancroix is available to hire all year round.